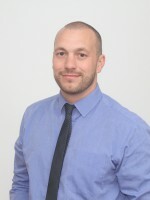 Based at the Group’s Hydraulic Equipment Supermarket’s office in Leeds, Simon works across all company divisions comprising Hydraulic Equipment Supermarkets, Branch Hydraulic Systems, HES Tractec and HES Lubemec. Bringing a wealth of engineering experience to the team, Simon has worked within the engineering industry since university, progressing from technical, mechanical and electrical engineering roles to various senior management positions. His career has spanned concept design, installation and the commissioning/management of complex engineering projects, including hydraulic control systems, and most recently large multi-million pound mechanical handling structures at Qualterhall & Co Ltd. Simon has also implemented health and safety strategies for complex maintenance and installations projects and top tier Comah sites.